While doctors still can’t decide if it’s safe to drink while breastfeeding, many women do have an occasional drink without having a clear understanding how it can affect their babies. It’s pretty clear that large amounts of alcohol can harm your baby. 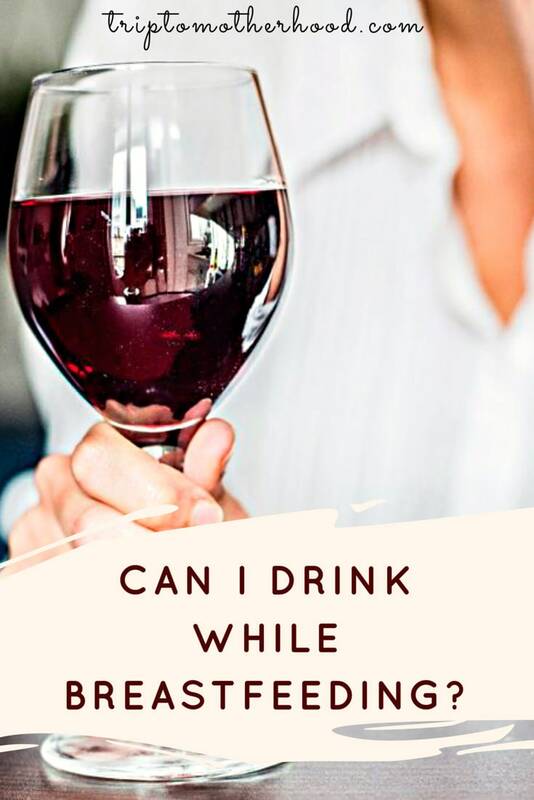 But when it comes to a glass of wine, is it OK to drink one? How much can you drink? How long should you wait before breastfeeding? Should you pump and dump after drinking? How much is too much? But first, let’s dive into scientific data. There is NO such alcohol beverage that increases milk production (not even a beer!) It’s a myth. Alcohol doesn’t help your baby sleep more soundly. In fact, you may get the reverse effect, when you baby wakes up every 1,5-2 hours. A nursing mother can breastfeed after having a drink as soon as she feels sober and neurologically normal. In other words, if you are sober enough to drive, you’re good to breastfeed. 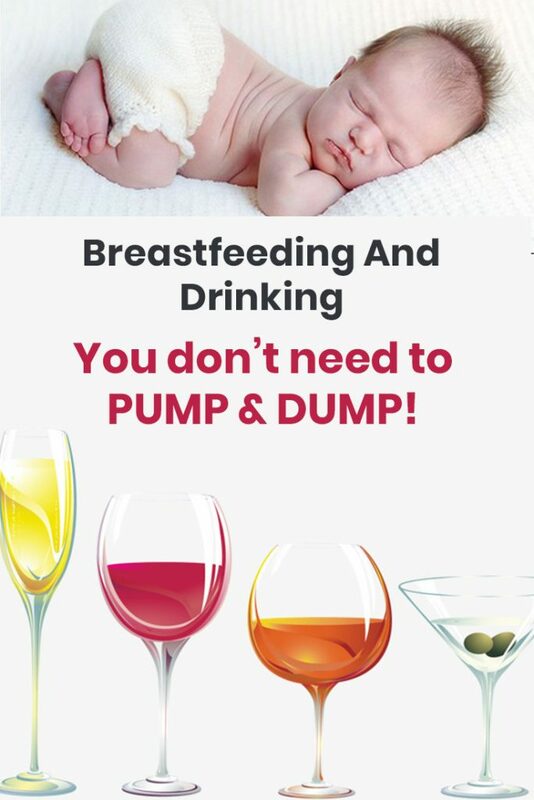 There is no need to pump and dump after drinking. 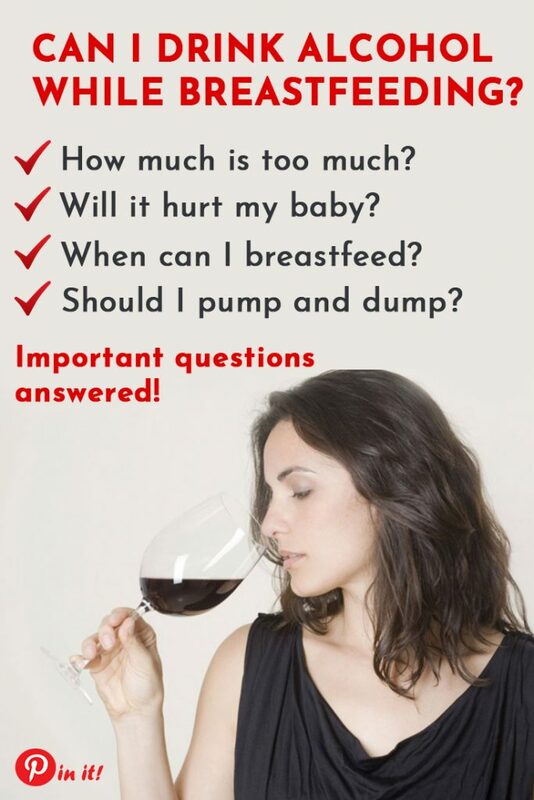 Pumping does not clear alcohol from your breast milk. The milk is produced from your blood, thus until your body fully metabolizes the alcohol, it will inevitably pass into your breast milk. The baby may experience severe colics after consuming breastmilk with a certain amount of alcohol in it. Ethyl alcohol leads to inflammation of the membranes of the esophagus, stomach and intestines. The intestine digestion function is impaired, thus vitamins and minerals are poorly absorbed. With frequent use of alcohol by the breastfeeding mother, the baby is under the risk for slow weight gain and physical development. Frequent use of alcohol in breastfeeding mothers may cause the baby to gradually develop an addiction. Experts say there aren’t enough studies to show the full picture on the matter. Yet it is highly recommended to stay clear of any kind of alcohol before your baby gets to the first developmental threshold of 3 months, since the brain of newborns under 3 months of age is still very vulnerable and developing. If you baby’s older, you can afford yourself a glass of good-quality red wine (about 100-150 ml). But this is not to say that you can drink on a regular basis. One glass of wine once-twice a month is maximum what I personally think is acceptable. Four hours, as Dr. Herway says, may be a little too much. I’d personally wait at least two hours after drinking alcohol. You can pump and store some breast milk beforehand. Уou can feed your baby with formula. If you decide to bottle-feed, don’t forget to “pump and dump” to prevent some breast pain that can be a result of a skipped feeding. If you are still not sure whether you can drink alcohol when breastfeeding or not, here’s 13 facts you need to know about drinking alcohol and breastfeeding that will help you make the right call. The younger the baby is, the less his organism is adapted to metabolizing alcohol. Newborns don’t have this ability whatsoever. The baby’s liver is not capable of processing even a small amount of alcohol, which means that all the harmful substances in the alcoholic beverage will poison the internal organs of the baby. Of course, it’s not so much the alcohol itself that negatively affects the baby’s body, than the quality and quantity of the consumed alcohol beverage by the nursing mother. 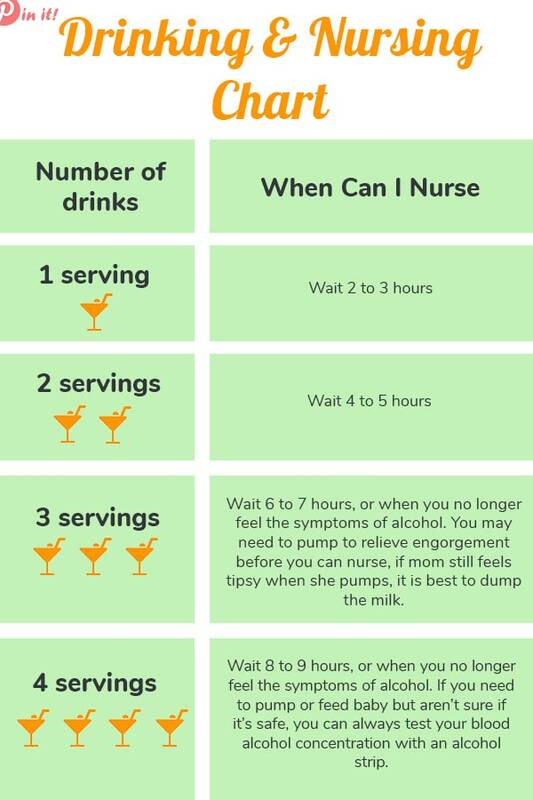 The more alcohol is consumed – the more time it takes for the body to metabolize it, thus more quantities of alcohol may penetrate into mother’s breast milk and end up in the baby’s body (if you breastfeed right after drinking or when you still feel buzzed). It means that if you ever struggled from low milk supply, it would be wise to stay out of drinking alcohol during the whole period of breastfeeding because even the occasional consumption of alcohol may dramatically decrease milk production. Okay, I have to confess. There were times when I had a glass of wine almost every week (or even twice a week). It all started from our trip to France where refusing from drinking wine was almost illegal. Kidding, of course, but it really felt like it! 🙂 My baby was 9 months that time. Then we got back home. I started working a little. I was sleep deprived. I still had to run the household chores and be a good mother to my son. I would describe this period as highly stressful. At some point I became frustrated because it seemed I wasn’t succeeding in any sphere of my life. So having a drink over dinner was my meditation. As my son was breastfeeding 24/7 on demand and waking up every 2 hours asking for a boobie to sooth himself back to sleep, I quickly realized I must set some boundaries in terms of drinking alcohol while breastfeeding if I don’t want to harm my baby. So I put myself together and admitted I was fighting stress with alcohol, which is wacky and sounds like an addiction. I then came up with some rules that helped me have an occasional drink without having second thoughts or feeling guilty about it. So my advice to you (if you’re a crazy wine lover like I am) is to come up with some rules you’re going to follow. Have a glass of wine while still nursing. This way you’ll have a couple of hours before the next feeding session and the alcohol should be out of your system by then. No need to pump and dump! Beware of the washing out period. You can’t breastfeed if you still feel buzzed. So it’s good to know how much time it takes for your body to metabolize alcohol. Usually, one glass of wine (150ml) takes two hours to wash off. Double the time if you had two glasses. Set the limits. Trade quantity for quality. Less is always better when it comes to drinking while breastfeeding, especially if you are not sure of the effects alcohol may have on your baby. Did you drink alcohol while breastfeeding? Are you absolutely against consuming alcohol till the end of breastfeeding? Share your thoughts in comments below. Effect of different doses of ethanol on the milk-ejecting reflex in lactating women. Sharing is Caring! Pin it for later. I’ve breastfed my daughter and drank alcohol. BUT I only have 1 beer or 1 glass of wine. That’s it. No more. And only once to 3 times a month, max. I also have fed my DD roughly an hour or hour and a half after and she didn’t seem to act or notice anything was out of the ordinary. BUT I also wasn’t “drunk, buzzed, or the slightest bit tipsy.” If you feel the affect from alcohol chances are your baby will do if you nurse, so you SHOULD NOT. the smartest thing to do if you are going to have a beer or some wine while nursing your baby if your not good to drive with a clear mind you shouldn’t nurse your baby either. 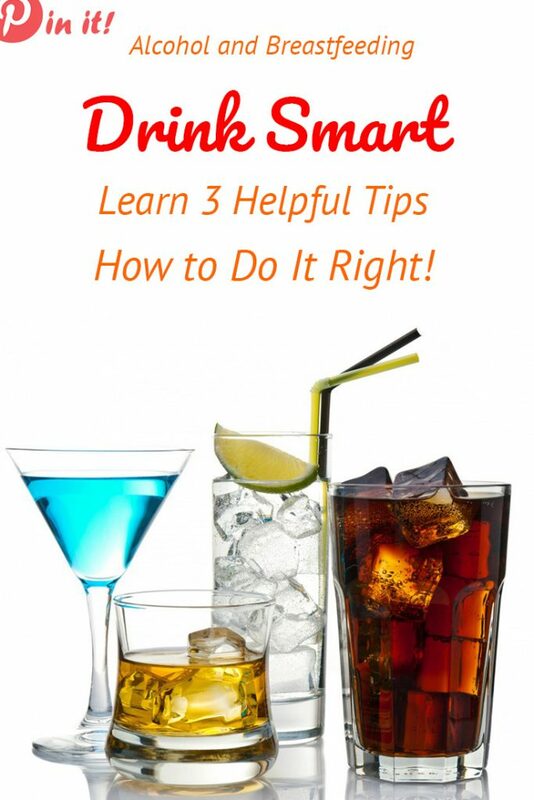 Be smart if your going to drink or just don’t do it at all. 🙂 Oh and AWESOME job breastfeeding your baby! You go girl!